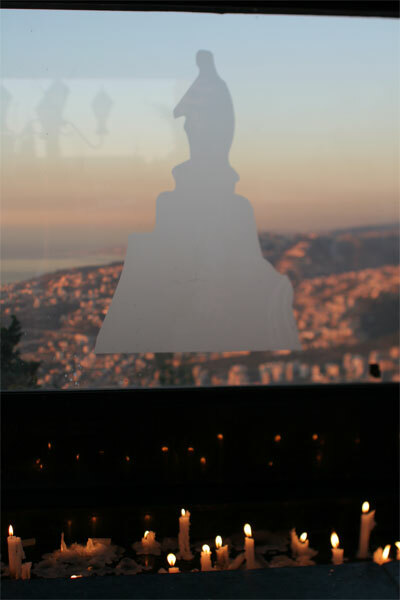 While working here in Lebanon, we are staying north of Beirut in the village of Harissa. 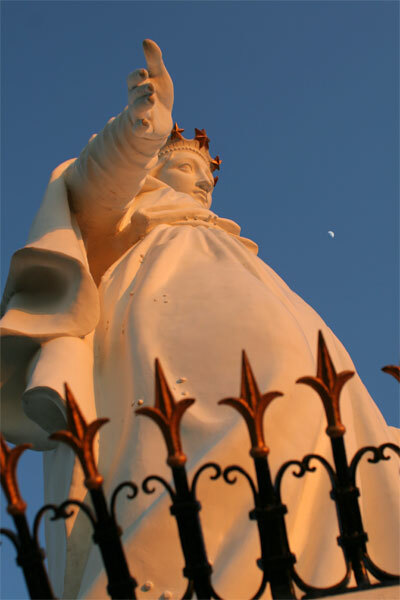 Our hotel is called Bethania, a mountain retreat center next to a statue and sanctuary dedicated to the Virgin Mary. 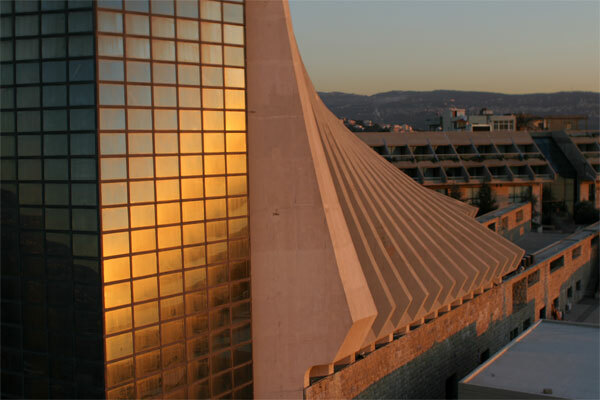 The hotel is a modern building that most often houses pilgrims who come here on spiritual retreats. 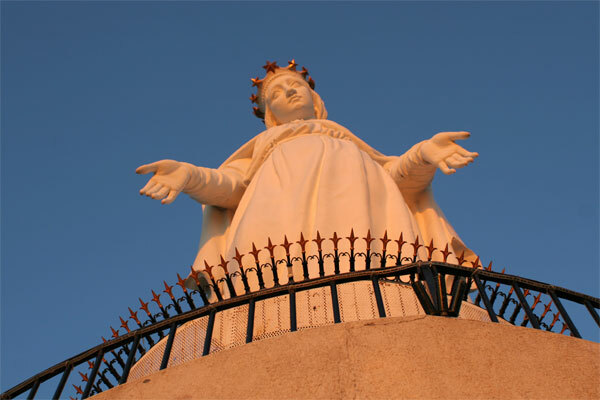 It sits behind the cathedral (pictured at right) and the sizable statue on a four-story base that you can climb to just below the figure of Mary. In a few adjacent nooks, people had lit candles below images of the Virgin in the windows overlooking the sea. A teleferique brings visitors up the mountain to the base of the statue. From my balcony, I have a great view of the Mediterranean Sea and the coast. For those of you who follow the news, you’ll know that there was a bomb blast that killed some people today in a Beirut suburb. I can report that Carolyn and I are safely ensconced in our mountain retreat and, since we seem to be the only guests in the hotel, we’re enjoying the peace and quiet of the evening. I’m glad I’m too buried by the day job to follow the news.